The London Souls might have been a mainstay band for Manhattan's Lower East Side and Brooklyn rock scene since 2008, but their smashing self-titled debut conjures up a Sixties-infused sound while remaining firmly planted in the here and now. It's rhythmic. It's real. It's powerful. Fresh off of winning MTVu's Freshman 5 in early July, the power trio seem to be excelling anywhere people want to hear what heavy-handed classic rock and finesse can do for music. The timing was near perfect. Their independent album dropped a few weeks later. That is not to say the band is going it totally alone. They've had a helping hand with producer Ethan Johns. After hearing the band's 5-track EP and then watching them play live a few years ago, Johns suggested they cut an album in the legendary Abbey Road Studios in London. And where the band seems to have found a match with him is in that Johns listens for one thing when he hears music. He wants honesty. Better than a throwback band, the London Souls produce honest music. While the band also had one break, cutting a track for NBA star Derrick Rose and Adidas and being included on Ugly Betty, they own their music. There is an immediacy to it that goes beyond most studio albums. Some songs play as if the band felt their way through them, like they might on stage. That is the truth of it, too. Johns had encouraged them to play the entire album live. And most of the 13 tracks were recorded on the first take, capitalizing on the improvisational nature of the band. But even beyond what they did in the studio, there is something else. 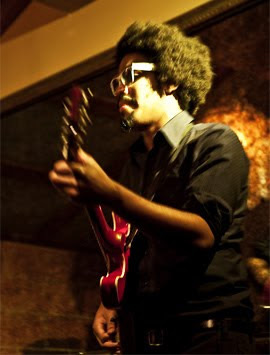 The London Souls are fronted by a guitarist who grew up on hip hop. But Tash Neal never found a connection between hip hop and the instrument he loved to play. He did, however, find a connection in bassist Klyoshi Matsuyama and drummer Chris St. Hilaire. They feel their way around each other not so much like Sixties bands but rather players in a blues band from the decade earlier. Those old souls would play set after set until one of them could finally find that mysterious ether area where everything sounds as if nobody could ever play it that way again. "I didn't want this to be a showcase for proficiency," Neal confirmed with the New York Daily News. "We were all concerned about making it about songs." The Sound, Stand Up, and She's So Mad are album heroes, adding crunchiness to the deeper grooves of vintage rock. But the more popish Someday and funky She's In Control will provide a few fun plays too. Slower-placed pieces like Six Feet, Easier Said And Done, and Dizzy also lend a lot to the album, proving the band has more diversity than a single speed. Likewise, while the Neal is a vocal powerhouse, Matsuyama splits some of the vocals with him and frequently lends great backing vocals when called upon. All together, it makes for a great album that can be listened to in entirety or split up a bit to make for a completely different experience. The London Souls Rework Classic For 5.8 On The Liquid Hip Richter Scale. Watching the London Souls over the next few months ought to be fun. Everything is clicking for them, which is where they want to be as they push forward. They are playing tonight (July 20, 2011) at The Bowery Ballroom in New York with guest Gonzo Jones. If we were on the East Coast instead of the West Coast, I couldn't imagine a better place to be. You can hear the London Souls in full by sampling the self-titled debut on iTunes. The London Souls can also be found on Amazon. It's good news for music that this album is likely the first of many.